When I search for the phrase "here's what we know," Google returns 9.4 million results. A depressing proportion of those results are the headlines or ledes of news stories about then-current events. For example (I'm writing this on July 8, 2016), "Here's What We Know About Confirmed Dallas Shooter Micah Xavier Johnson." Too often, "what we know" turns out to be "what someone told our reporter," or "what we heard at a press conference," or "what we read in a press release." And "what we know" (again too) often turns out not to have been true at all and to instead have just been "what we thought we knew at the time, and now what you will go on thinking because you don't have time to keep up forever with our changing versions of every story." For example, I suspect that if I asked fifty random people on the street what kind of gun Omar Mateen used in his June 2016 attack on the Pulse nightclub in Orlando, a majority who thought they knew would think they knew that the gun was an AR-15. After all, major newspapers "knew" that's what it was for the better part of a day until they found out it was actually a Sig Sauer MCX. 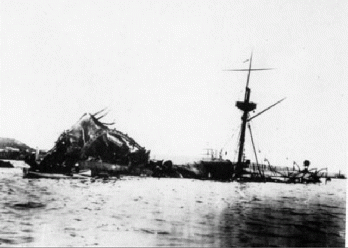 Or to reach a bit further back in history, in 1898 US newspapers told Americans with solemn assurance that the USS Maine had been destroyed in Havana Harbor by a mine. Many people still consider that confirmed fact, and it made a great excuse for the Spanish-American War. But to this day, we still don't know what actually happened to the Maine. The idea behind use of the phrase "here's what we know" is to convey the message "here are some facts you can take to the bank." But lately I've begun reading it as "we are hubris, hear us roar." Socrates, the father of philosophy, is quoted by his disciple Plato thusly: "I am wiser than this man, for neither of us appears to know anything great and good; but he fancies he knows something, although he knows nothing; whereas I, as I do not know anything, so I do not fancy I do." I'd love to see that motto inscribed over the entrance of every journalism school in America, as a caution against reporting rumor as fact, against treating speculation as evidence, and against putting being first ahead of getting it right.